It's a wet and windy Autumn day outside, as the rain runs down my window and leaves swirl past as if they need to be somewhere in a hurry. I almost feel like I should be preparing to brave the elements whilst getting ready for school, so evocative is it of days of long ago when such weather was something to be enjoyed (if you were ten years old) rather than cower from like a big feartie. 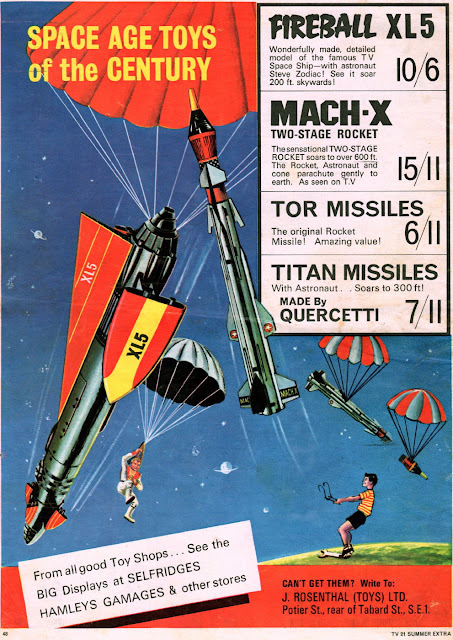 I can smell that 'woody' tang in the air, with hints of fireworks and Hallowe'en, and find myself wondering why, when I was younger, All Hallow's Eve and Guy Fawkes' Night seemed separated by a period of several weeks instead of the actual five days that exist between them. I can remember, in school, as the night of October 31st approached, the afternoon being given over to making masks for the big event to come. 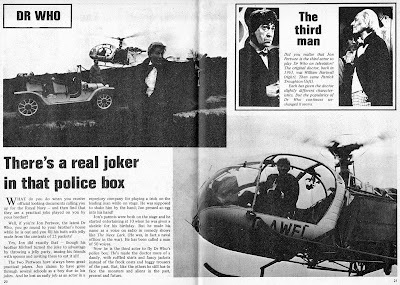 Then it would all happen again for November 5th, and I defy anyone to cast their minds back without seeming to 'remember' these two celebrations as being separated by a far longer period of time than they actually were. I've often wondered how such a thing can be so. If October 31st fell on a Monday, mask-making day would have been on Friday the 28th. That means Guy Fawkes Night would have been on the following Saturday, and mask-making day would have occurred on Friday the 4th - a whole week later with a Saturday and Sunday in between. Well, weekends obviously seemed far longer to us as kids back then than they do now, but not all mask-making afternoons were partitioned by a full weekend, so the seemingly elongated interval between the two events is not fully accounted for by such an explanation. We'll just have to put it down to that same mysterious phenomenon which makes all our yesterdays, in retrospect, seem better, brighter and longer than they really were. Don't we all feel that the summers of our childhoods were gloriously sunny for months on end, and that every Christmas morn we woke to find a deep carpet of snow spread before us outside our bedroom windows? 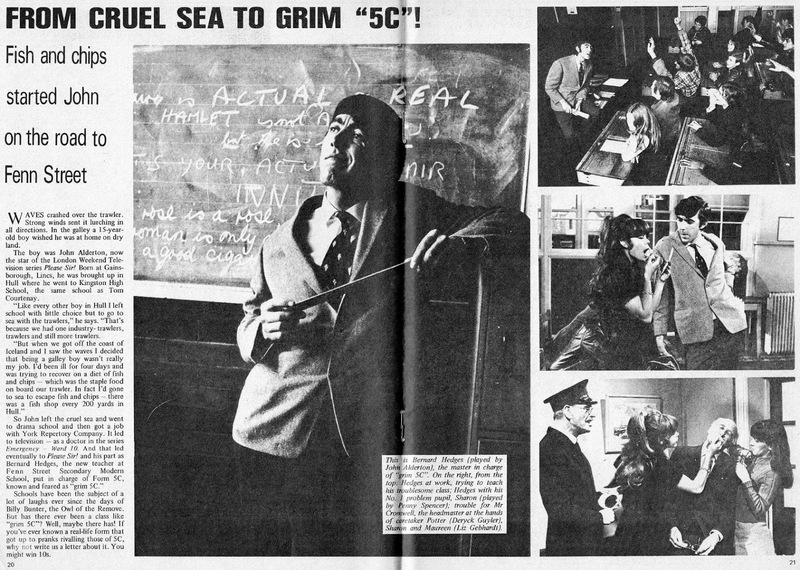 Anyway, seeing as how it's Hallowe'en tonight, I thought I'd dust down and share this old-but-true tale with all you Criv-ites to put you in the mood. Are you alone? Are you sure you're alone? Perhaps you'd better check first before we proceed. Ready? Good, then I'll begin. Not long after my family had moved into our new house back in 1972, a curious thing happened. My brother came downstairs into the livingroom one night and claimed he had just seen an elderly lady in white on the stairway outside his room. My parents pooh-poohed the notion, but, shortly after, my bed was moved from my front room on the grounds that it was damp (the room, not the bed) into my brother's room, which we then shared for a few months. I suspect it was more to do with my brother being scared to be alone than it was with the risk of me catching pneumonia, but I grant that it could've been a combination of both. Some indeterminate time afterwards (a year or two perhaps), my brother again came into the livingroom with a concerned look on his face and called us upstairs, saying that someone was walking around in the attic. We all trooped up to my brother's room and, sure enough, there was a sound of creaking boards - as if someone was walking from one end of the attic and back again. 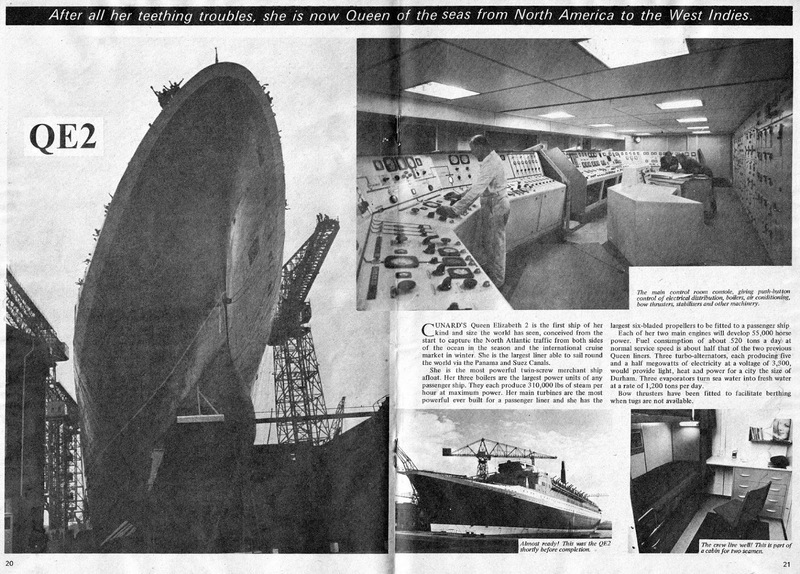 My father got out the stepladder and tentatively poked the top of his head a few inches into the hatch opening, but he was in no mad rush (nor were we) to more thoroughly explore the vast confines of its black interiors, so we put the noise down to some not entirely convincing 'rational' explanation and retired downstairs again. Some years later, we moved house, and four years after that, we moved back again - with the exception of my brother, who had acquired his own flat in the meantime. Now, I don't believe in ghosts, but the couple with whom we exchanged houses in order to return to our former abode, told me that one night while lying in bed, a ghostly apparition had drifted through the wall from my brother's old room into theirs, then floated right over their bed and melted through the window on the other side. They were a young couple and a bit flaky, so I put their 'experience' down to having partaken of a combination of too much alcohol and weed. 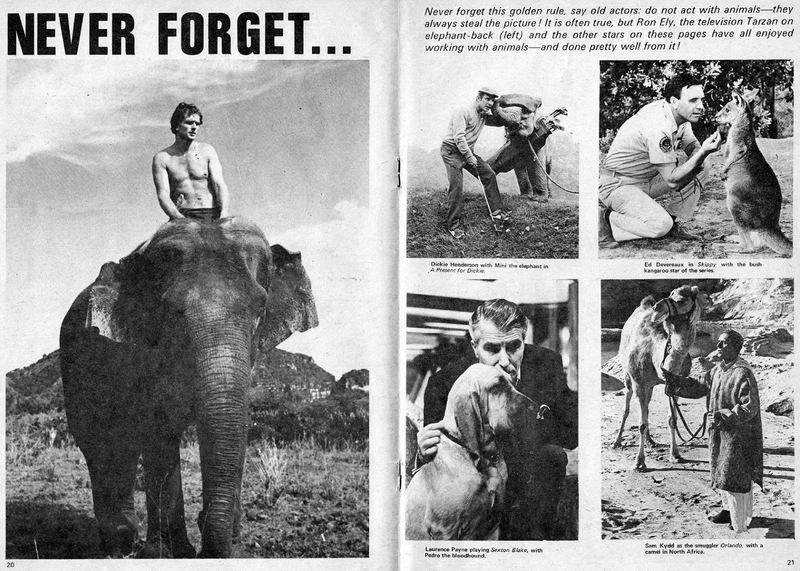 But here's where it gets strange (as you doubtless anticipated). A few years after having moved back, I was lying in my bed one night in the small hours when I suddenly became aware of a wizened old woman in white shuffling towards my bedside. She stopped and stooped, lowering her crinkled face towards mine as if scrutinizing it intently. For a moment I was paralysed, but then, with a growl, I sat bolt upright in bed to confront the ancient figure, who immediately retreated (still facing me) into the far corner of the room before fading into nothingness. I sat stunned for a moment, not quite sure what had happened. Had I seen a ghost, the very one my brother had claimed to have seen so many years before? Or had I only been dreaming and suddenly awoken - with the figure in my dream somehow still visible before me, like some swiftly-diminishing after-image? Who can say for sure? I still don't believe in ghosts, but that was certainly a moment which gave me pause for thought. Anyone else got any similar experiences? Feel free to share. 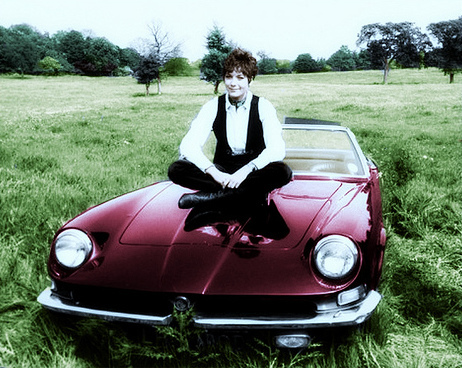 LINDA, get off the ruddy car - I've just washed it! Bah! 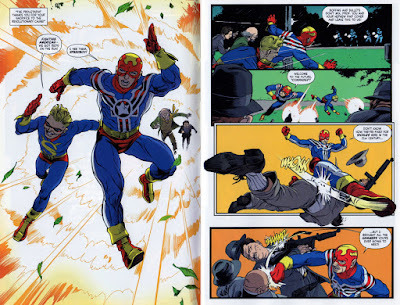 FIGHTING AMERICAN - SENSATIONAL SUPERHERO OR COPYCAT CLONE? Let me say from the start that I'm a fan of the SIMON & KIRBY team - for the most part anyway. 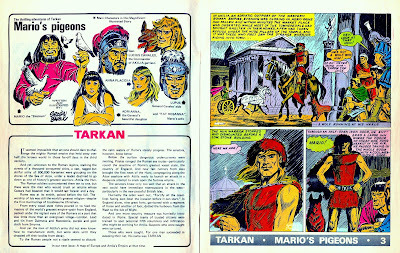 However, I'm slightly puzzled by the esteem in which some of their comics are held, because not all of them were winners. FIGHTING AMERICAN is one of those that didn't overly impress me when MARVEL released a hardcover collection back in the '90s, mainly because S&K failed to explore the interesting premise of one man's mind in another man's body (his brother's). It's done and then it's over with, and aside from setting up the 'revenge' angle motivation of the hero, is never exploited in the way that it should've been. 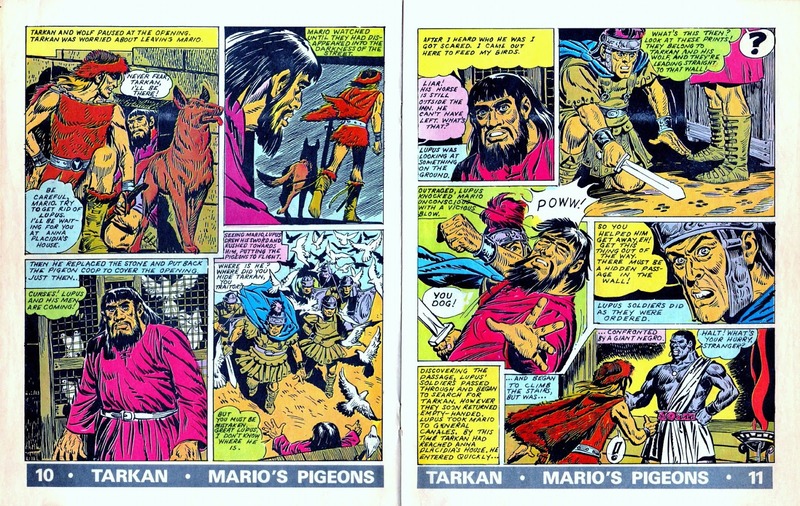 There's some nice artwork in the original 7 issue series, but once it switched to 'satire' (as S&K later described it), it lost any promise it might've had. 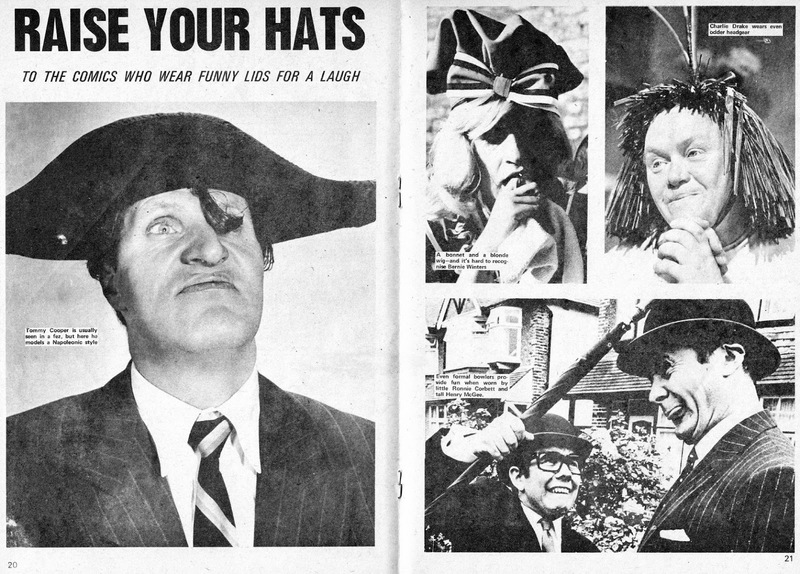 In fact, 'satire' is too high-falutin' a word - 'comedy' is a better fit. Trouble is, all that did was give the impression that JACK & JOE weren't taking the character too seriously, and if they weren't, then why should the readers? 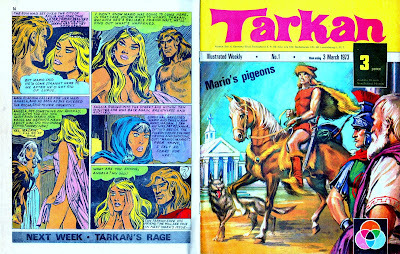 It's been said that distribution problems led to the failure of the title (and that may well have been a factor), but I suspect the main reason was simply that the strip was too lightweight to win the affection and loyalty of comicbook buyers. We also have to remember that, essentially, FA wasn't much more than a CAPTAIN AMERICA clone, and as the good Captain himself wasn't doing too well at the time, it was probably a tad optimistic of the creators of both strips to imagine that a copycat character would do any better. To me, Fighting American (and also BOYS' RANCH) are two comicbooks that initially showed potential, but never quite delivered. Those who read the mags back in the day might disagree, but that's to be expected. 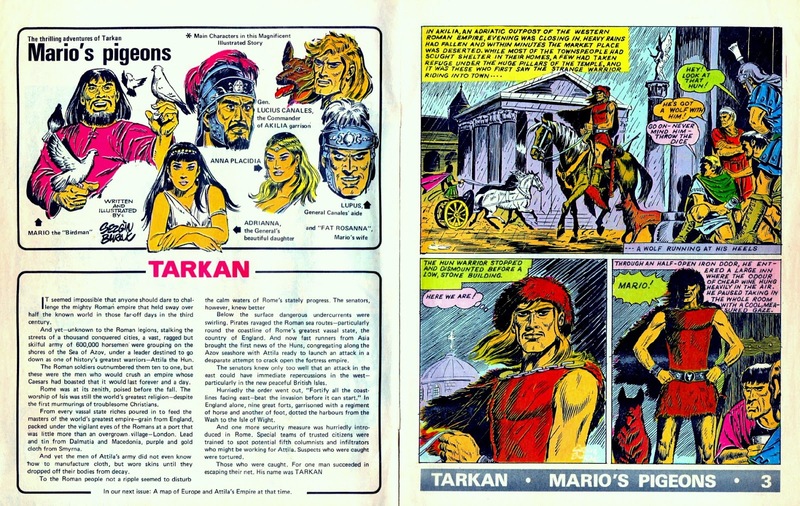 After all, the comics people read as kids represent their childhood to them, which is precious, so obviously they're going to view them in quite a different way. I should perhaps emphasise (given the vehemently negative way in which any observations or criticisms emanating from me are viewed by a small band of detractors), that I'm not saying Fighting American and Boys' Ranch were bad comics - they were perfectly competent and professional, entertaining even (to a degree) - but they just weren't out-and-out knockouts, despite the way history sometimes appears to have been 'rewritten' to suggest otherwise. Which brings us to TITAN COMICS' new title, resurrecting the hero for a contemporary audience. 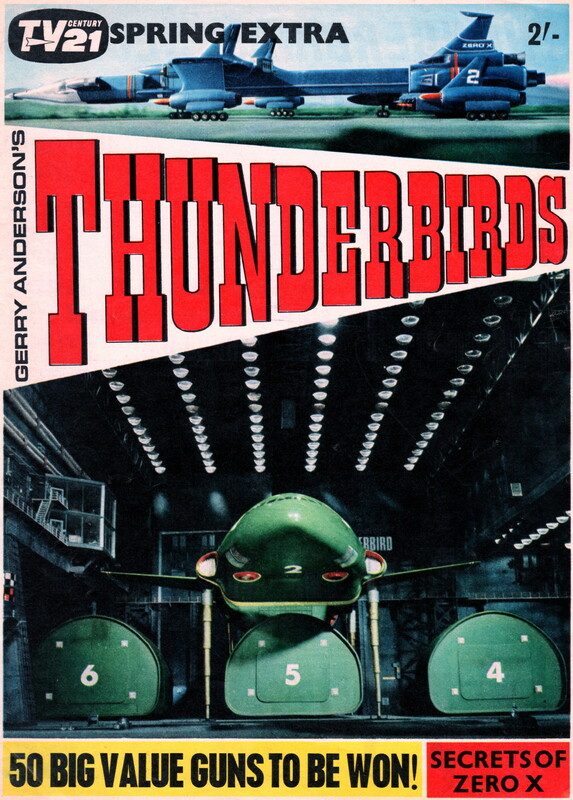 Writer GORDON RENNIE kicks off by transporting, via time travel, FA and SPEEDBOY from the '50s to modern-day America, thereby increasing the already blatant similarities to Captain America. 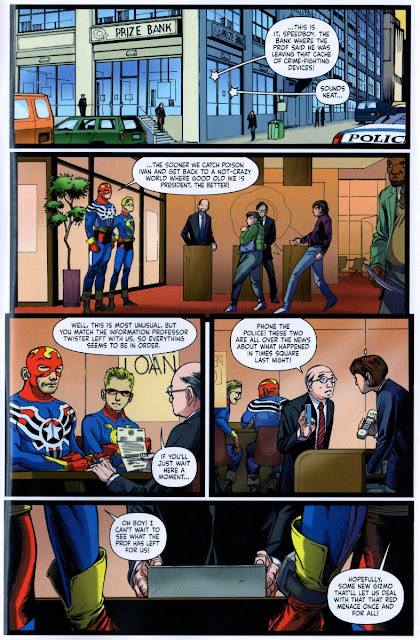 Just like STEVE ROGERS, NELSON FLAGG is now also a man 'out of his time', in a 'world he never made', and it'll be interesting to see if the comic travels along similar lines to its Marvel rival. 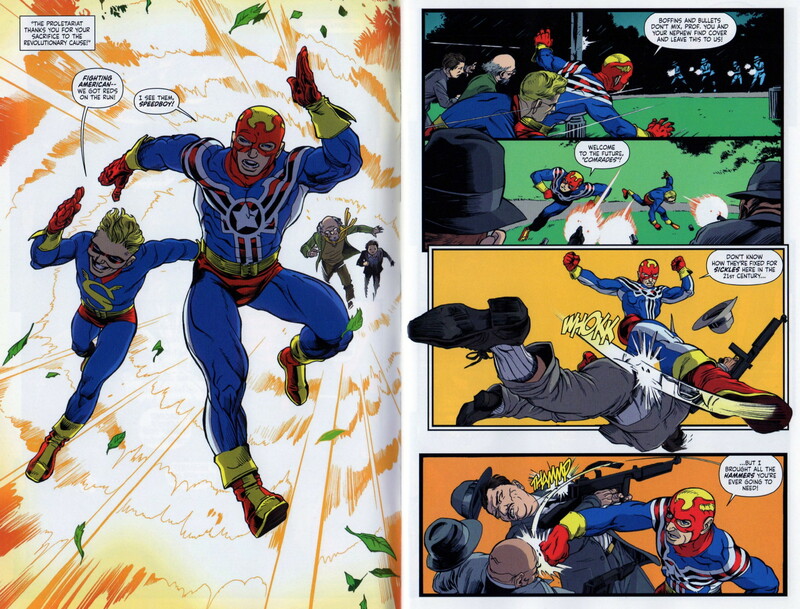 DUKE MIGHTEN's art is a little caricaturish in places, and his faces on Fighting American are downright ugly at times, but his action sequences are effective and his sense of storytelling is clear. It's interesting to see that letterer SIMON BOWLAND gets a cover credit, but as he uses computer fonts I'm not convinced it's justified (you can bet the Anti-Robson League Quartet will put that down to sour grapes on my part). However, the lettering is competently executed, its placement doesn't obscure anything vital, and it does just exactly what lettering should do, no more, no less. There's a mistake that the editor should have caught and corrected (seeing as how the letterer missed it), but those 'in the know' will be aware of my assessment of that particular individual's 'ability' and (more importantly) character, so there's no need for me to go into that here. 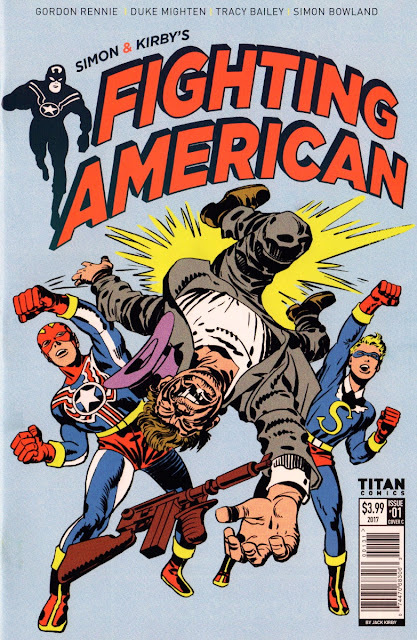 In conclusion, the comic isn't a bad read and shows promise, though I'm not sure that Fighting American as a hero is a big enough attraction for me to continue with the series. However, I'm certainly not going to try and talk you out of giving it a try if you're so inclined, and it's certainly an intriguing plot line that should engage your interest. 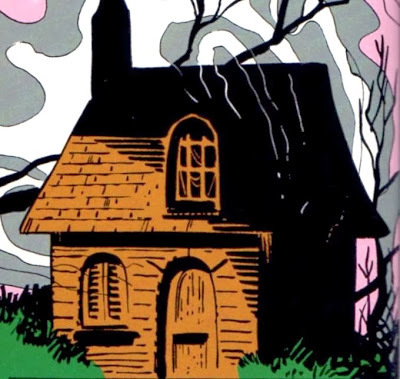 One thing the creative team should do in the future if the comic proves popular is explore the psychological aspects of having one man's brain in another man's body. What's it like to look in the mirror and see the reflection of your dead brother staring back at you? What's it like to look at 'your' hands as you perform some task, and not recognise them as the hands you grew up with? 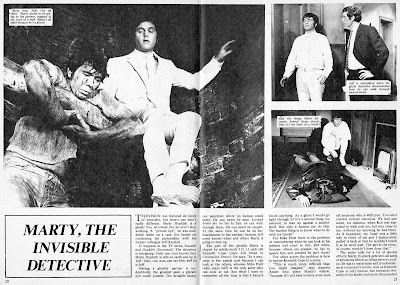 What happened to Nelson Flagg's own body? Was it disposed of, or does it live on, in suspended animation, in case Nelson's mind should ever need returned to it? There's potential in those unexplored questions, and I hope the creative team decide to eventually delve into them and forge some interesting stories around them. THE DECLINE OF TV CENTURY 21...? 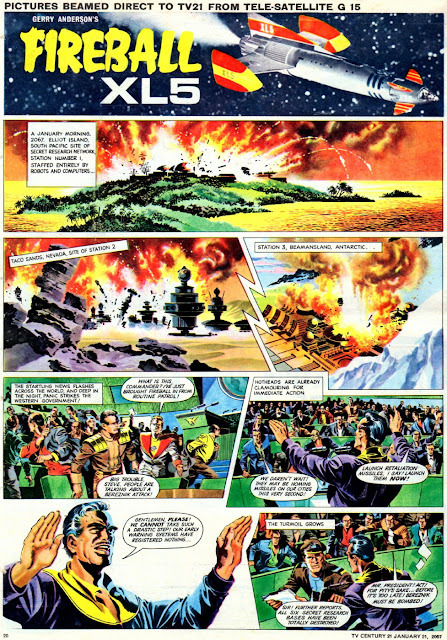 What's significant about this FIREBALL XL5 page from TV CENTURY #21 #105, Criv-ite chums? 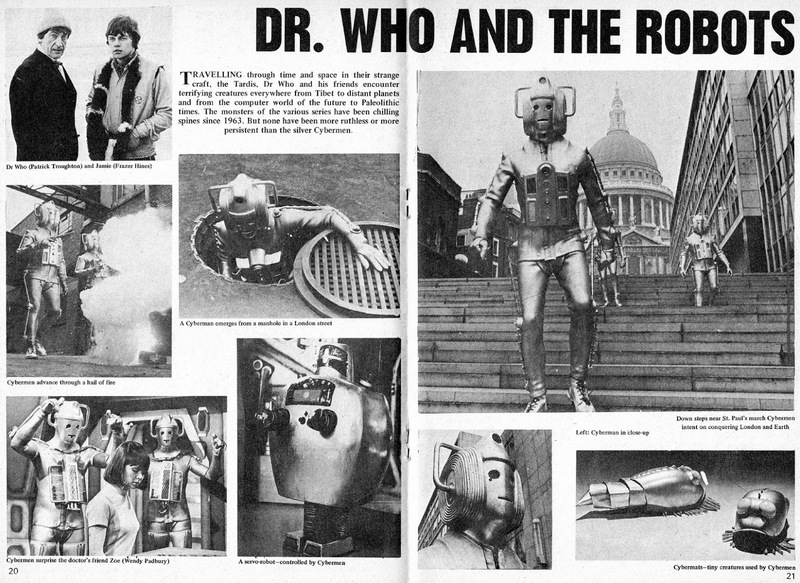 It's the first time that The DALEKS hadn't featured on the back cover, their strip having ended the week before, with issue #104. 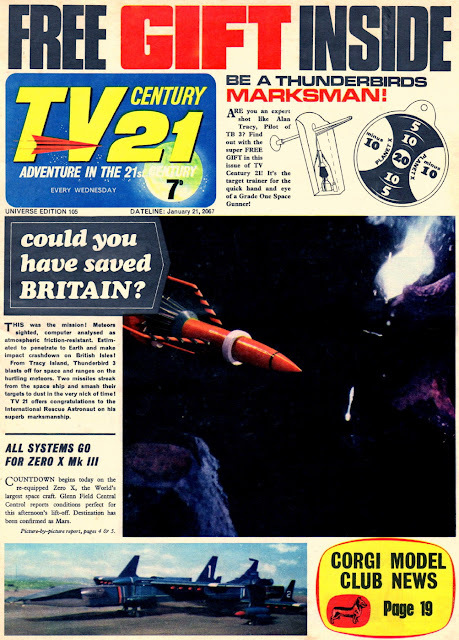 To be honest, I thought that TV21 was never quite as good as it had been with The Daleks, and it must've been around the same time that original editor ALAN FENNELL left the comic for pastures new. MIKE NOBLE drew the Fireball page, as well as 2 interior pages of ZERO X (the first instalment of the strip I believe), so that was a full 3 pages in one issue, no mean feat considering how detailed his artwork was. 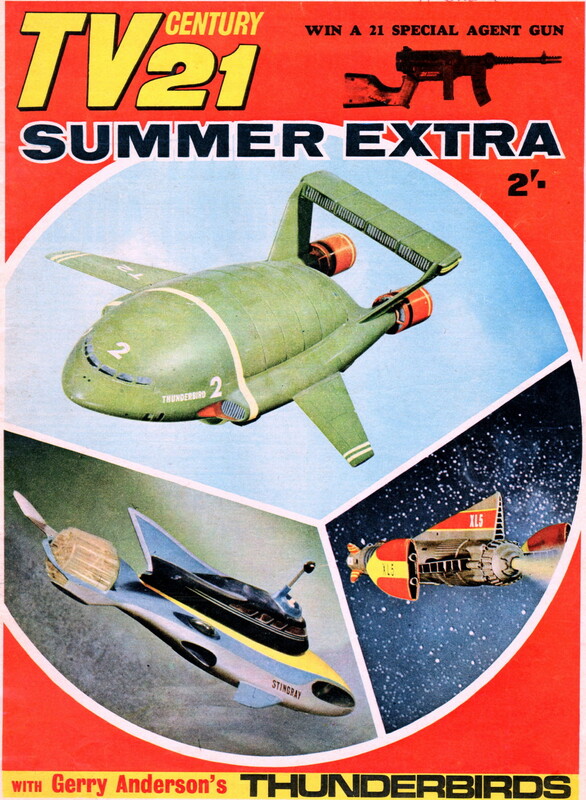 Again, to be honest, I never warmed to Zero X, despite the great artwork, seeing it as just a reworked, inferior version of Fireball XL5, which I much preferred. 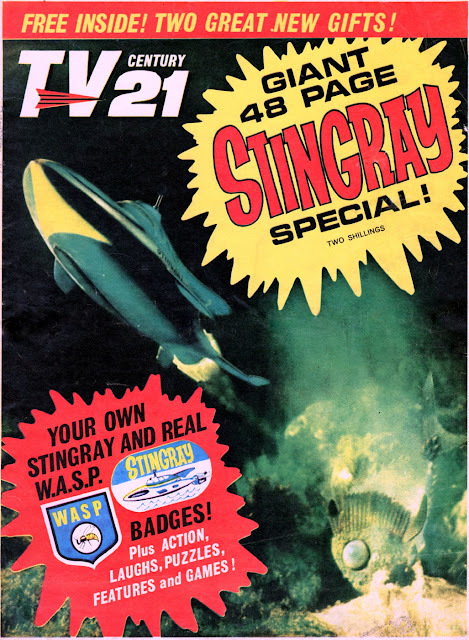 Hard to believe though, considering how polished a magazine TV21 yet was, that this was probably the beginning of its decline, though regular, committed readers were probably unaware of that fact at the time. What's your view, frantic ones? 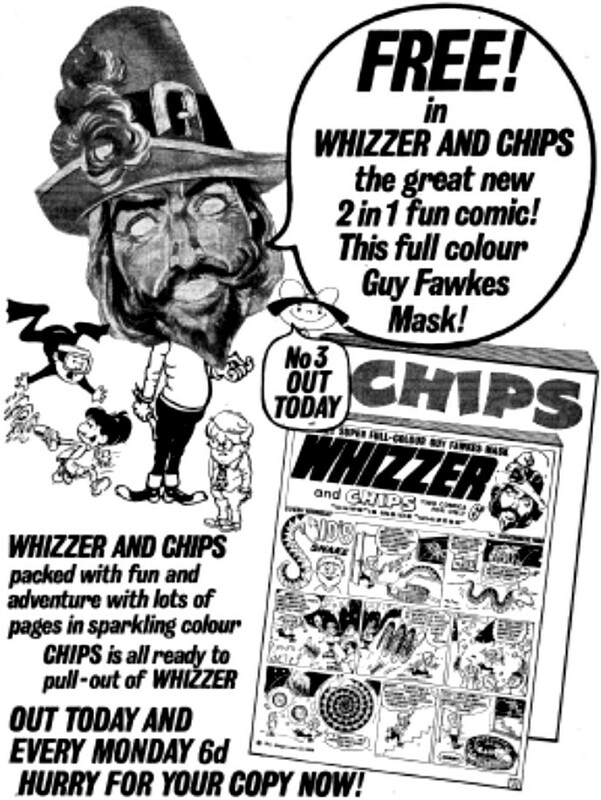 Do you think the comic was still a force to be reckoned with on the newsagents' counters, or were things for you never quite the same again? Feel free to record your views for posterity in our recently much-neglected comments section. of the road to sunbathe like that - she's liable to cause an accident. It's funny the things we remember and the things we forget. 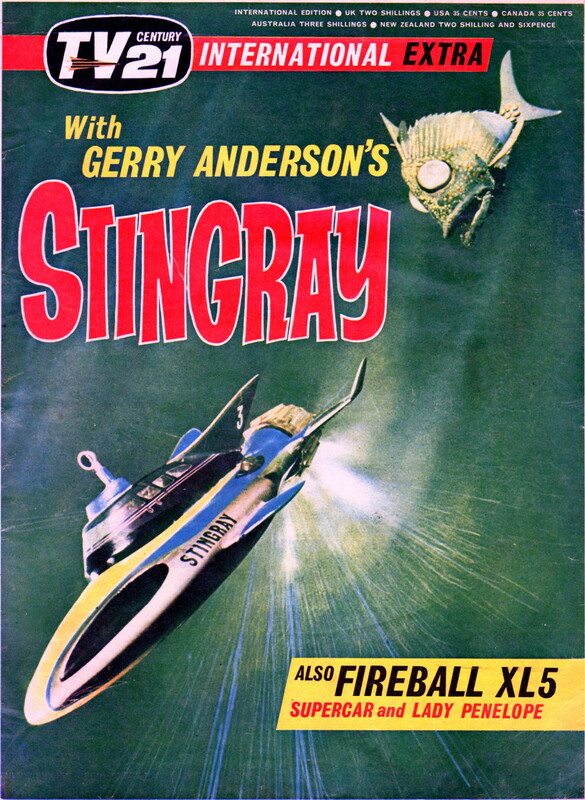 I remember buying this paperback from JOHN MENZIES in my local town centre, either in 1974 or '75. I can't say with certainty precisely which year, because I no longer recall if I bought it prior to seeing the movie or afterwards. My local cinema usually got the 'big' movies several weeks after the Glasgow cinemas, so I suspect it would've been 1975 before myself and one of my pals trotted along to see it, returning again not long after to repeat the experience. I remember also that I treated my parents to a viewing of it, though I'm unsure whether it was on either of the same days that my friend and I attended. (If it was, it would've been on the second occasion.) 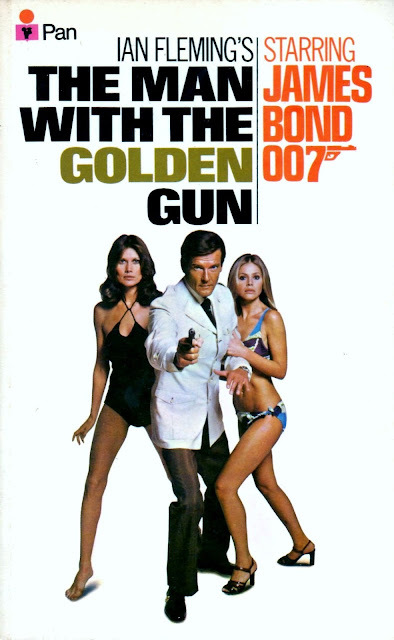 I repeated this treat for them in 1985 (at the same cinema) when ROGER MOORE's final 007 film, VIEW TO A KILL, was screened. Three years later, that cinema began the process of being converted into a Bingo hall, which it's now been for quite a while longer than it was a cinema. It's strange but comforting to have re-read the story on my bed in the same room of the same house I first experienced it back in the day. Not the same bed, but in the same corner of the room where my original bed was once situated. (If you want to keep score, my current bed in this room is the fourth, although I once had another bed in another room of the house.) 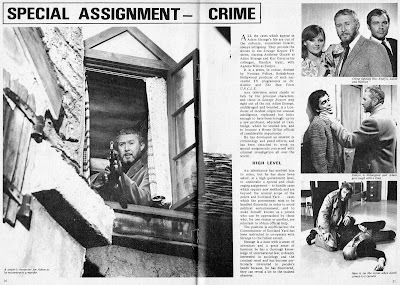 Regarding the movie, I thought it was a belter when it first came out, but it isn't generally regarded as one of Roger's best nowadays. I think one of the reasons for this is because, at SCARAMANGA's remote island hideaway, the lone technician working in the reactor plant (or whatever it is) detracts from the impression of the usual 'big budget' scale associated with Bond films, though I think it was intended to suggest that Scaramanga's solar-powered technology was low-maintenance. 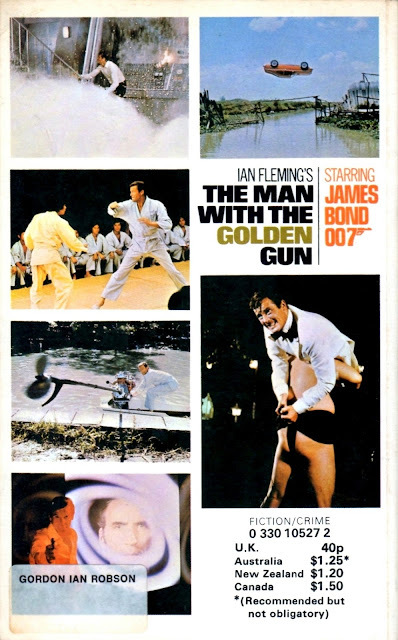 Whatever, I still think it's an entertaining film, though LIVE & LET DIE was better. 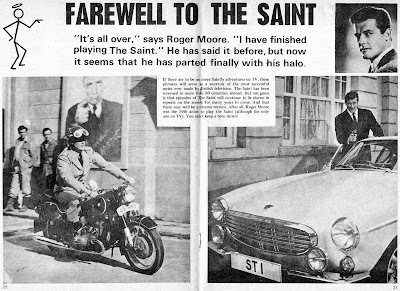 Anyway, it was nice to revisit the '70s for a while, though on returning to the present, I find myself quite saddened by the realisation that Sir Roger Moore is no longer with us. 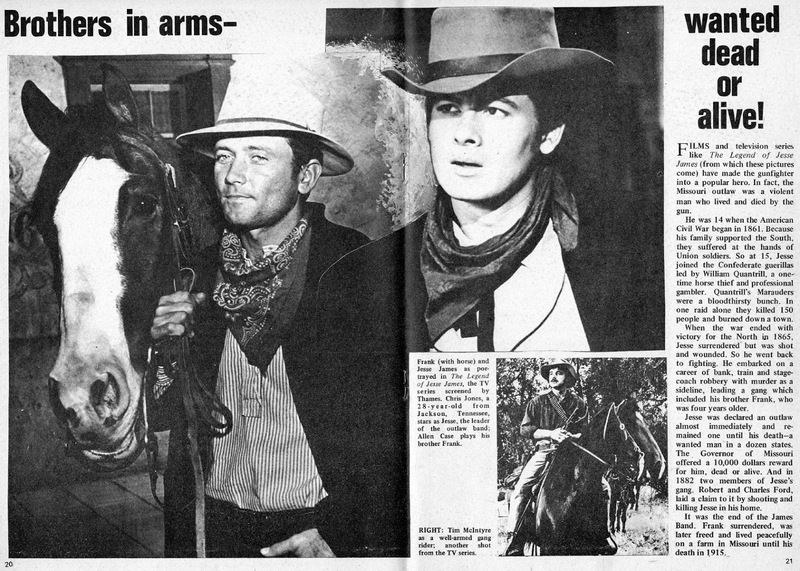 However, for most of us, he's only a DVD or a Sunday afternoon repeat away, so his Bond will always be around. I've shown this MARX TOYS TWISTABLE BATMAN before on the blog, but I thought I'd let you see him with his new Bat-emblem. See, in the early or mid-'90s when I first acquired this replacement for the original ones I'd had as a kid (that's right, I had more than one), he came without his utility belt, Bat-a-rang, and Bat-sign. He still had his original cape with copyright label attached, but it was a little the worse-for-wear. So I promptly made him a new cape (using the original as a template), new utility belt, and new Bat-a-rang. His original cape was a darker blue than his mask, boots, and gloves, so I used a darker blue for the replacement. Eventually, I made another one that was closer to his blue plastic parts, but still just slightly darker. I created the Bat-a-rang from a piece of perspex, the belt out of felt (hey, a poem), and I photocopied the Bat-emblem from the official one at the time used on merchandise. 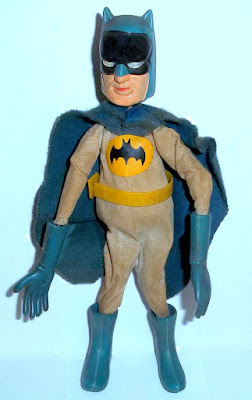 Later on, I replaced it with one copied from the '60s AURORA Batman model kit, and last night I made one copied from ADAM WEST's Batman costume. Sure, I could've copied the original Marx one (got a photo of it in a book), but West is best (hey, another poem), so that's what I've gone with. These figures are quite hard to come by in any condition and command a pretty penny when they occasionally turn up, so I'm extremely glad to have one. He's been a work in progress over the years, but at last I'm satisfied with his overall appearance. 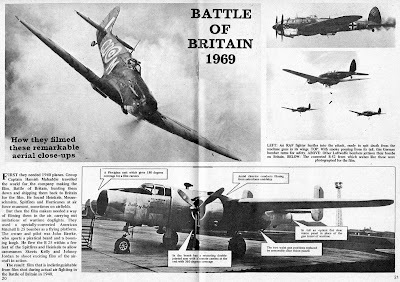 (However, if there's anyone out there with a spare original emblem, belt and Bat-a-rang, get in touch.) Below is a photo of someone else's toy with the original emblem and belt, followed by an earlier photo of the above figure with the first emblem I made. 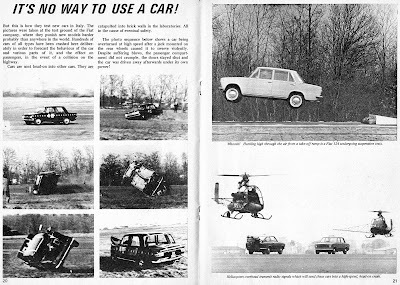 And, following my response to TC in the comments section, I dug out my BATMAN COLLECTED book by CHIP KIDD, and the final pic below comes from his esteemed and fairly comprehensive publication. us all a laugh. Try and keep it clean now. 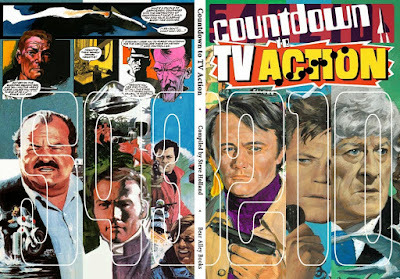 COUNTDOWN TO TV ACTION is a splendid volume, published by BEAR ALLEY BOOKS (in 2014), and is sure to delight all fans of this iconic comic from the early '70s. 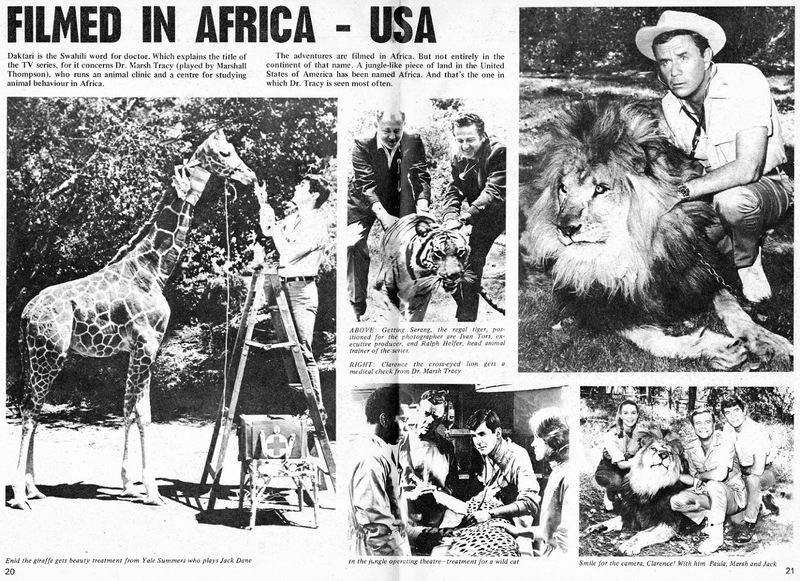 The amount of research author STEVE HOLLAND puts into his work is astonishing, and this tome is packed with facts and figures. In fact, perhaps it has far too many facts and figures, as I felt disinclined to read all the lists contained in the back of the book. 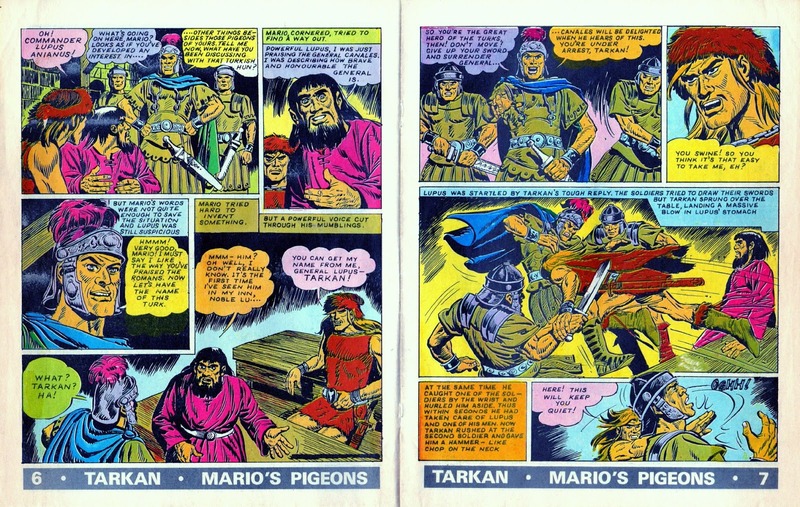 However, it's good to know it's all there and that if I ever need to know who drew a strip and what colour of trousers he was wearing on the day he drew it, I know where to find that info. I jest of course, but sometimes it felt that some aspects the book were included more to pad out the contents to an acceptable length than because they really needed to be there. However, that's the minor quibble of a pedant, so don't let it put you off buying this excellent softcover edition and reliving the heady days of your youth if you read this comic during its 132 issue run. It would've been nice if at least some of the illustrations were in colour, but even that absent aspect doesn't really detract too much from what a worthy addition to your bookshelf this tome would be. 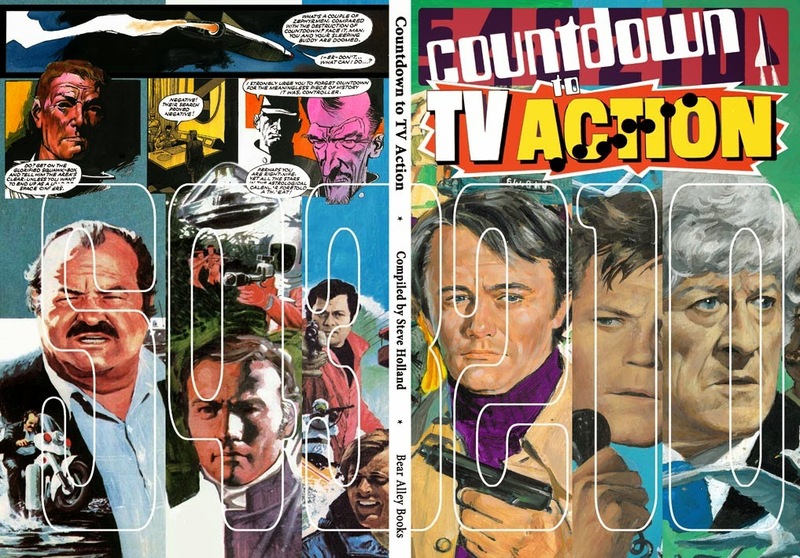 You can order copies here, and with Christmas fast-approaching, now might be the time to grab a copy - either for yourself, or for a friend or relative who remembers Countdown/TV Action with fond affection. 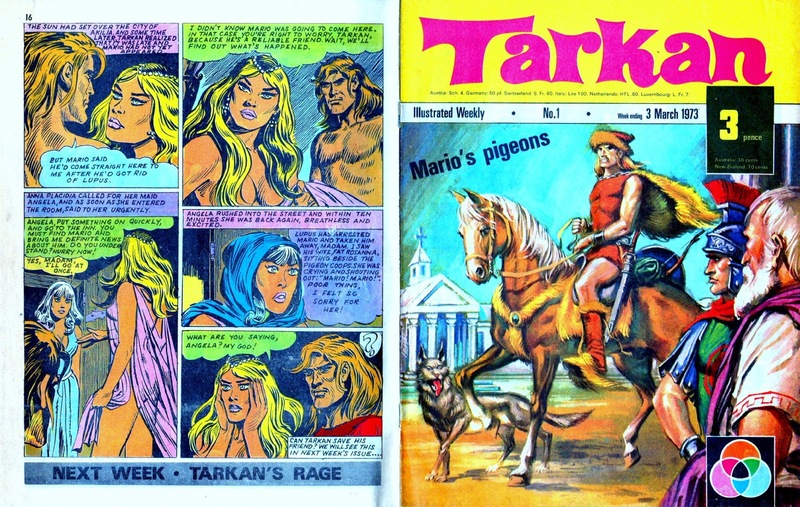 Several posts back, I showed you the cover of TARKAN #1 and a few interior pages, but have now decided to go the full hog and let you all read the complete 1st issue. Normally I'd crop the margin off each page and present them singly, but this time I've decided to try something different. 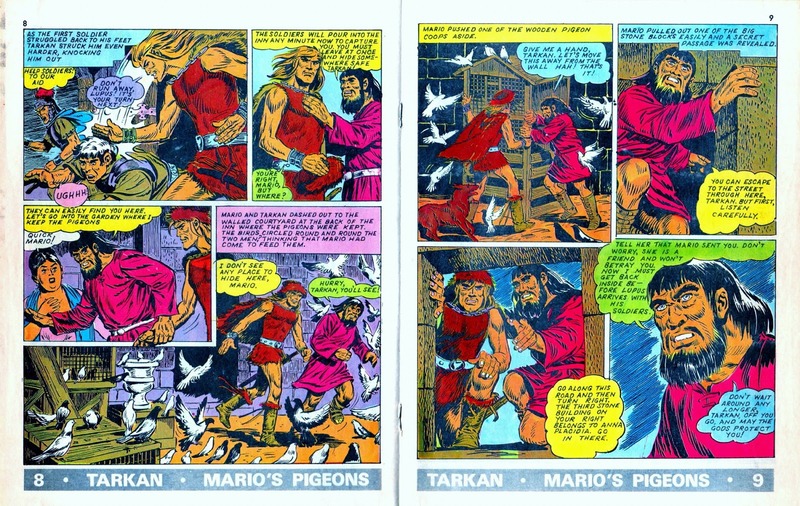 I thought it might increase the sensation of reading an actual comic if I featured the pages as if the actual mag were in your hands, so here it is as nature intended, two pages at a time. You can let me know in the comments section if you prefer this style of presentation or my usual way of doing things. 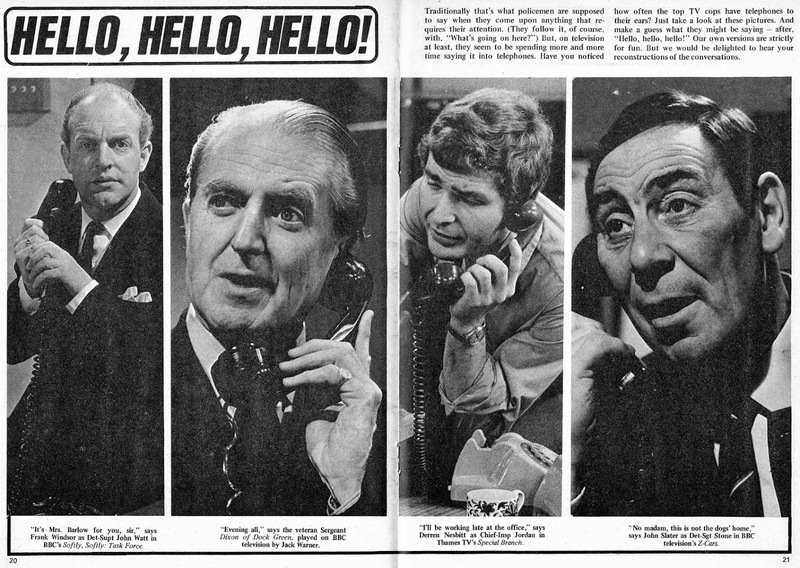 Remember that the left-hand page above is the back cover, and should be read last after you've read the rest of the mag. Now, forward...! iron that, luv, but first make me a cup of tea!" See? I'm a man who knows how to treat a woman. 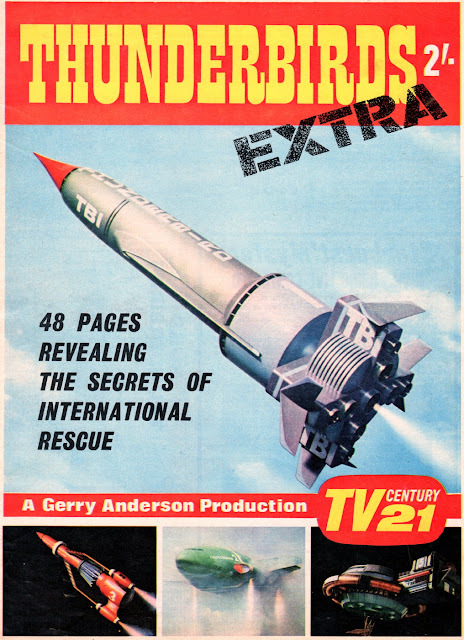 I've likely shown these covers before, but these scans are new, improved versions from my own personal copies of these half dozen TV CENTURY 21 Specials. 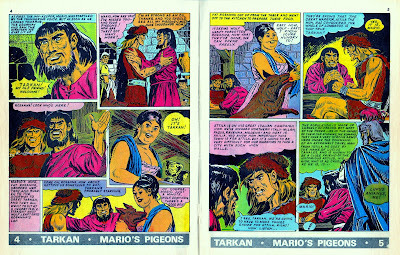 The back page below was used again on the next two comics so I've not repeated it, and the final three comics each had different back cover ads. 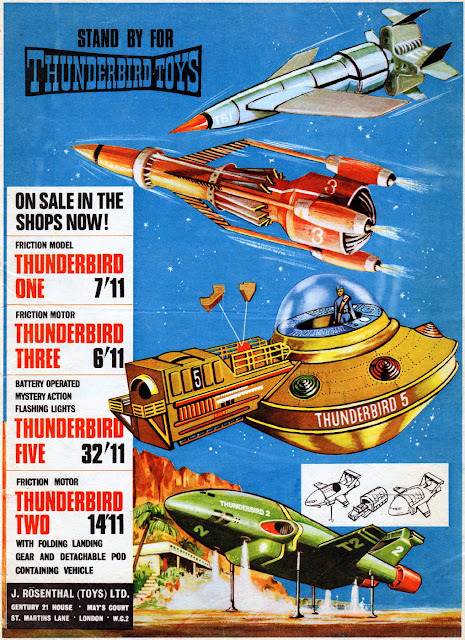 If I remember correctly, I had the first three issues back in the '60s, but I don't recall having the three THUNDERBIRD ones - not that it matters, 'cos I've got 'em all now! 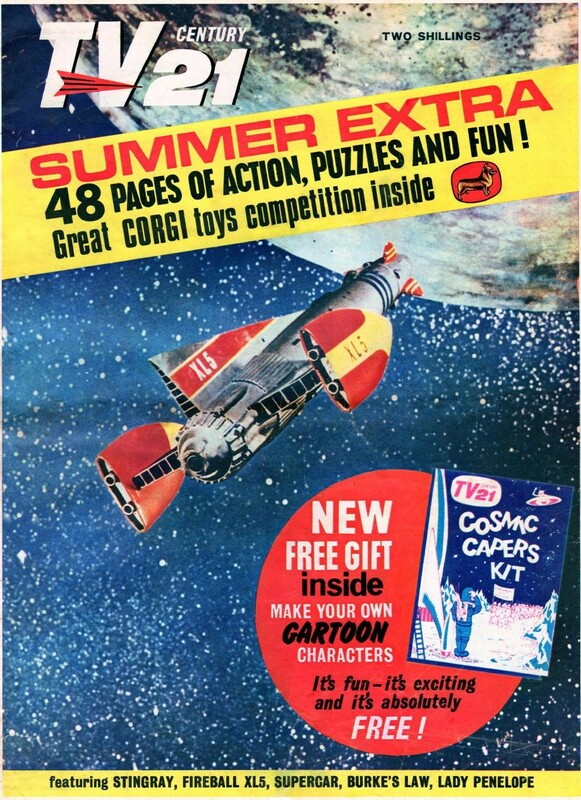 It's a shame there's a smudge on the back cover ad of the final Special, but that's the way it was when I bought most of these replacements many years ago. 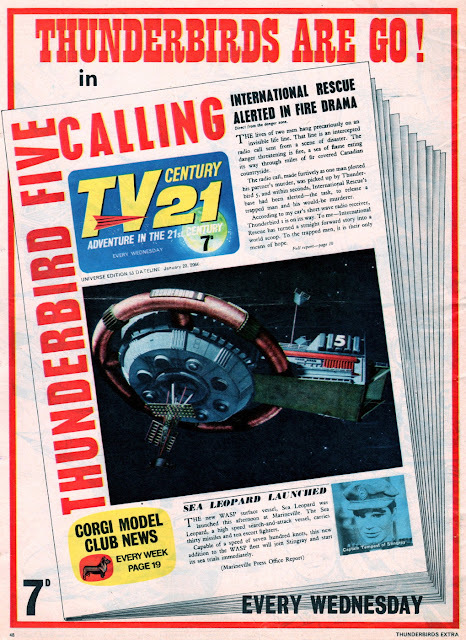 Funnily enough, I got #s 2-6 all at one go, so the very first issue was the last one I acquired a good 20 years after the others (and around 50 years since I'd bought my original copy back in 1965 - or 2065 if you prefer TV21's dating). Did you have any of these Specials back in the day, Criv-ite chums, and if so, what (if anything) do you remember about them? 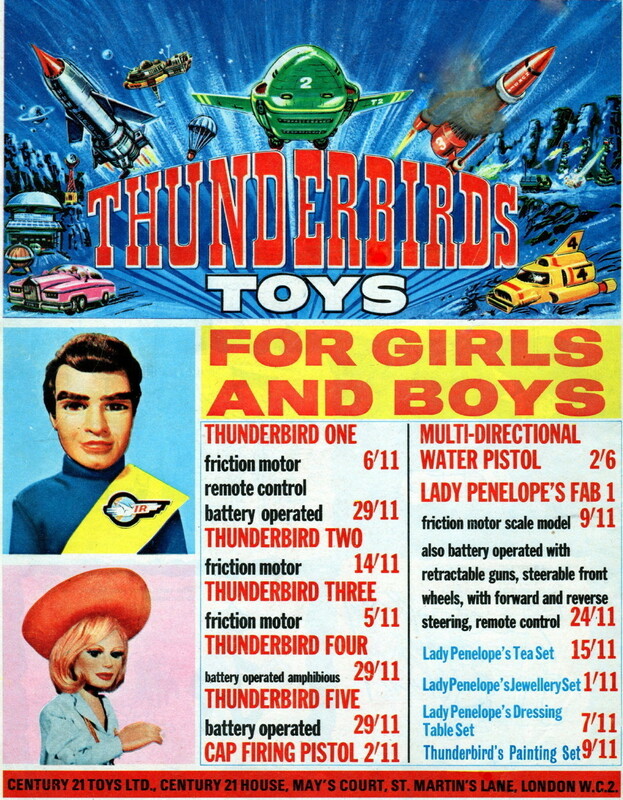 Also, did you have any of the toys featured in the ads, and if so, which ones - and what were your favourites? The comments section eagerly awaits your visit. bicycle and post a letter. Thanks, IMOGEN. All 14 issues of SUPER DC (see here) were copyright dated 1969 in the indicia and priced at one old shilling, despite not going on sale until September or October of 1970. (Confirmed by the fact that the free calendar watch strap labels were for November and December of 1970, and January of 1971.) 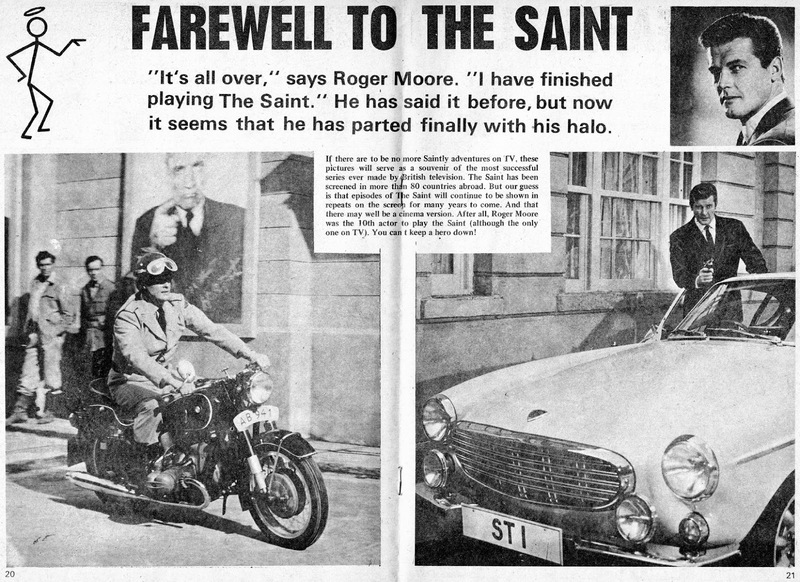 ROGER MOORE had given up playing The SAINT in 1969, yet there it is being reported in the first issue's centrespread as if it's just happened, even though the news was a year old by the time the comic went on sale. This would seem to confirm my theory that all 14 issues were printed before the first one appeared in newsagents, and for some reason (maybe copyright fees or distribution problems), were held back until matters were resolved. 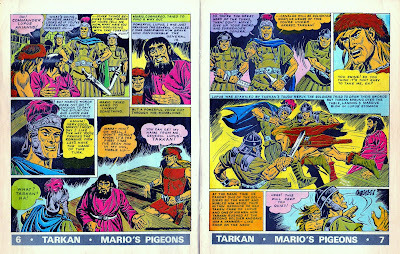 Not that such a thing need concern us a whopping 46 years after the periodical's demise upon its fourteenth and final issue, as this post is actually about the articles that appeared in the comic's centre pages. Most of them appear out of place in a mag about superheroes, but space has to be filled in some way, and this was the easiest way to do it, while at the same time giving the comic a British 'feel' to offset the overwhelming presence of American costumed crusaders. Readers had the best of both worlds with this approach, and I thought that Super DC was a great little monthly mag back in its day. Here, perhaps for the first time anywhere since their initial appearance in the early '70s, are all 14 centrespread articles to help whisk you straight back to your long-vanished youth. Ah, "Those were the days, my friend, we thought they'd never end" - but, alas, they did. So thank goodness we can always revisit them, eh? Even if it is only for a short while. STOP THAT CAR - IT'S MINE!